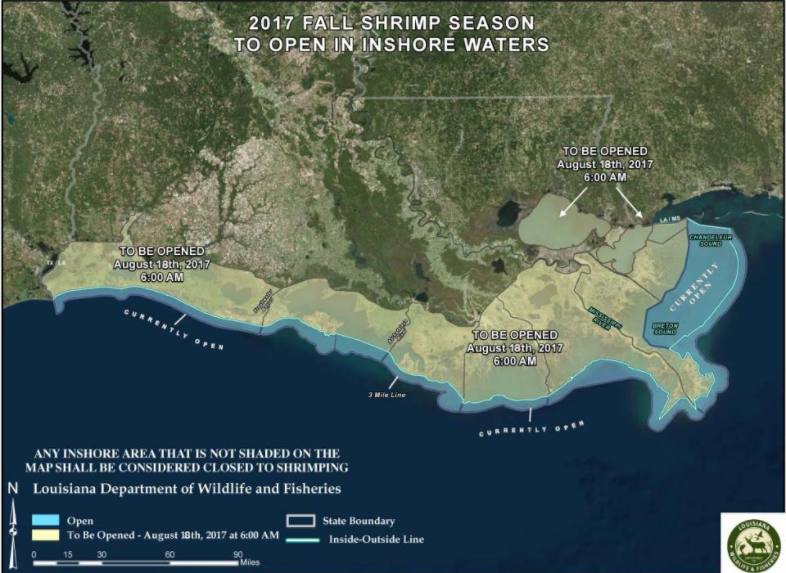 The Louisiana Wildlife and Fisheries Commission has set the opening date for the fall 2017 shrimp season. The LWFC has announced that the fall shrimp season will officially kick off at 6 a.m. August 18. The date was selected based on information provided by LWF biologists and public comments. For more information regarding the regulations around shrimp season, click HERE.